Experience amazing glass tours, unique exhibits & glass shops in Kokomo/Howard County! Join us as we celebrate the art of glass on October 18-20, 2013 during this special Indiana Glass Trail Art on Fire weekend. Start your adventure at Kokomo Opalescent Glass, America’s oldest art glass company. 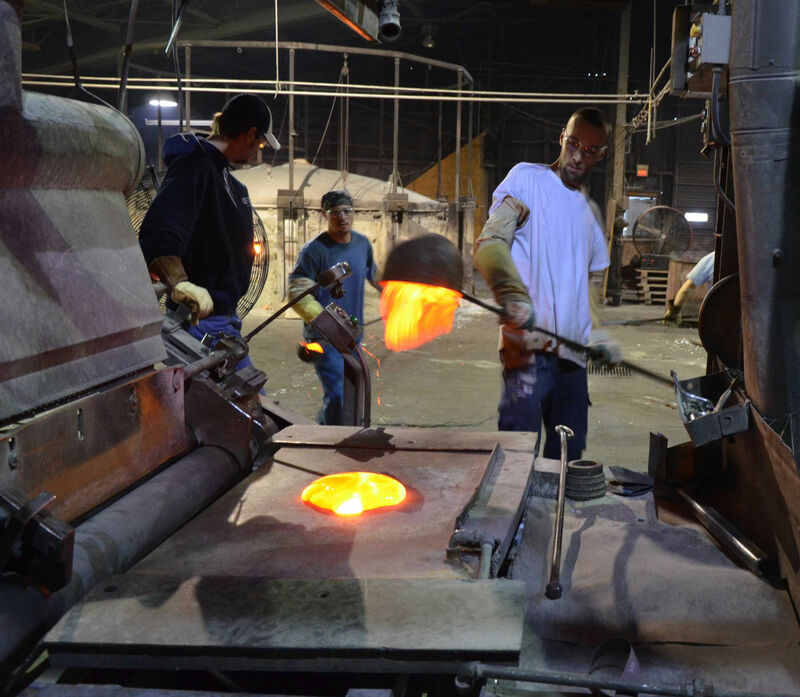 Go “behind the scenes” on this fascinating tour to experience the glass-making process. 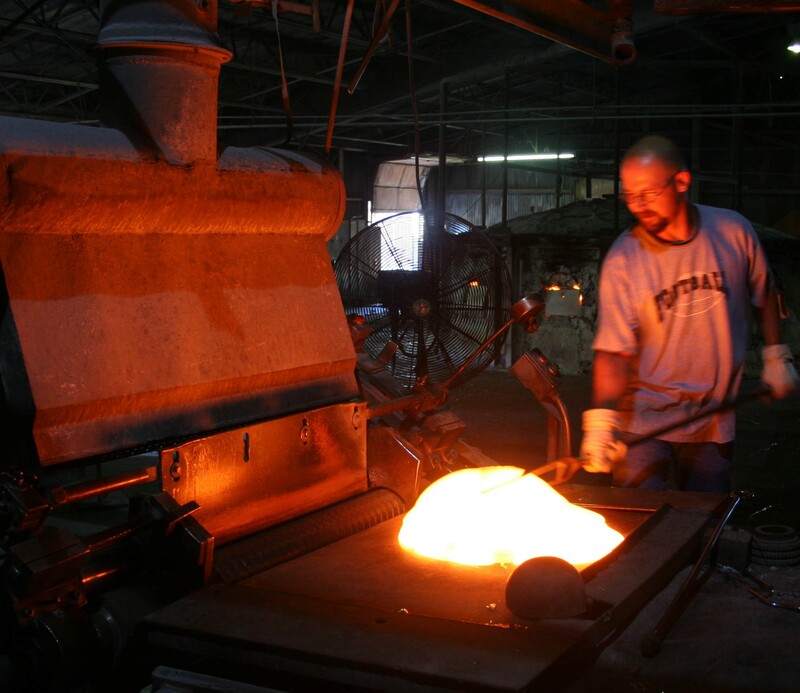 Watch as hot glass is ladled from a 12-pot furnace, hand-mixed, cooled, and shipped all over the world. Also, see glass blowers create amazing glass art in the Hot Glass Studio and purchase beautiful glass items made by local artists in The OP Shop. Don’t miss the special tours & demonstrations on Saturday, October 19th! Located at 1310 S. Market St., KOG has been making glass in its original location since 1888. The cost is only $5 to take the tour. 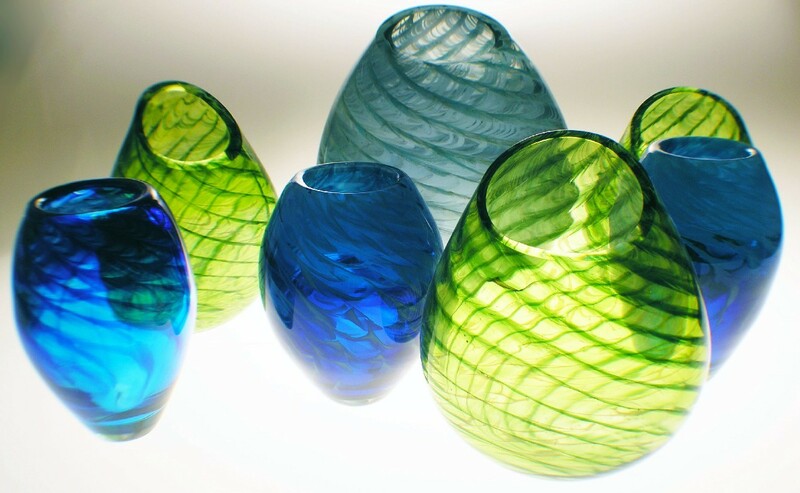 The discovery of natural gas in the late 1800’s in Indiana led to an explosion of creativity and glass-making. From plate glass to stained glass and cookware to art glass, Howard County was a leader of the industry. 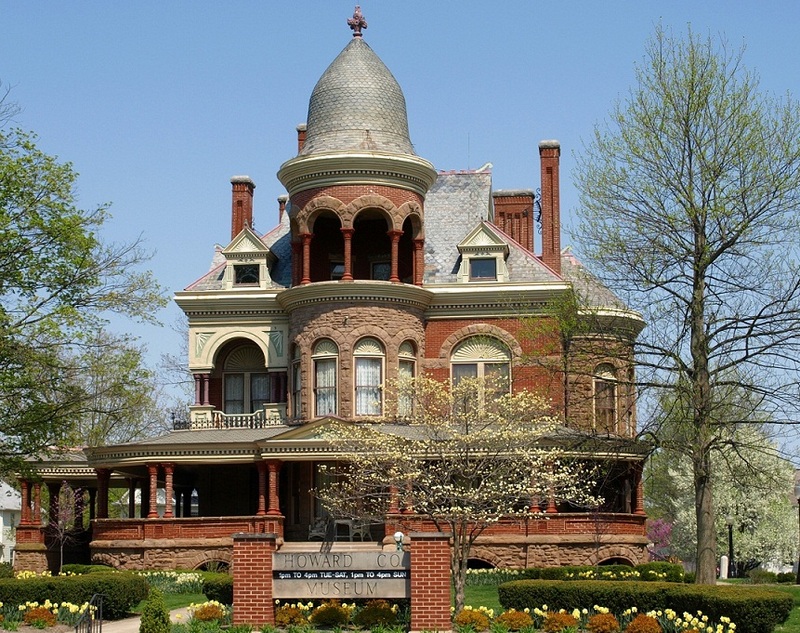 That history is on exhibit at Kokomo’s Seiberling Mansion at 1200 W. Sycamore St. Explore their newest exhibit produced in cooperation with Kokomo Opalescent Glass, a selection from the museum’s huge collection of Jenkins glass, along with Greentown glass, a unique Bournique chandelier, and the Seiberling’s wonderful stained glass windows. Admission is $5 adults & $2 children. Don’t miss a visit to the Greentown Glass Museum. The museum’s permanent exhibit houses over 2,000 pieces of glass on display, including a vast number of pieces of glassware produced by the Indiana Tumbler and Goblet Company in Greentown between 1894-1903. The extensive display features various glass patterns and highly collectible pieces, such as Chocolate Glass, Golden Agate and Rose Agate. Admission is free. The museum is located at 112 N. Meridian St. in Greentown. 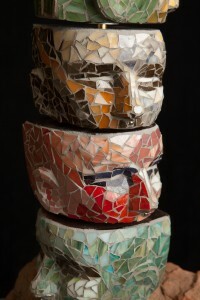 Featuring exceptional glasswork from artists in six states, this unique exhibit will open Oct. 19, 2013 at the Indiana University Kokomo Art Gallery with an Opening Reception from 2-5 p.m. (open to the public.) The Art Gallery is located on the campus of IU Kokomo at 2300 S. Washington St. Admission is free. 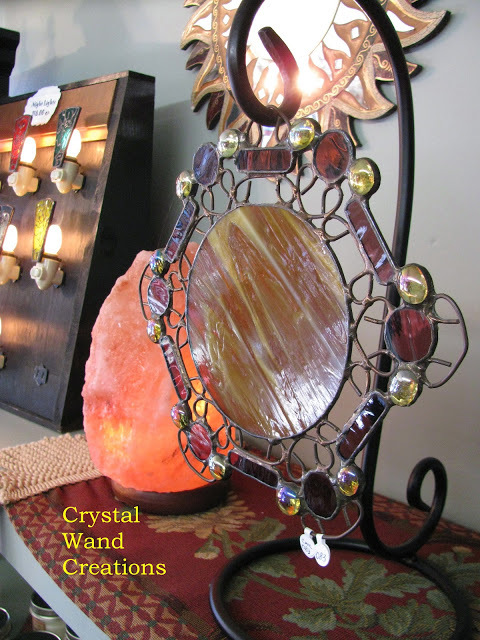 Finally, purchase local, handmade glass items at Crystal Wand Creations, including glass jewelry, stained glass ornamentals, panels, suncatchers & wind chimes in this unique retail shop located at 206 N. Buckeye St. in Downtown Kokomo. The shop will be open October 18th from 10am-6pm and October 19th from 10am-4pm. In addition, take a class or see the work of glass artists in Lafayette/West Lafayette and Logansport during this glass weekend. Full itinerary available here. Special rates are available at the following Kokomo hotels (based on availability.) You must mention “Art on Fire – Hot Glass & Class” to receive the discounted rate! 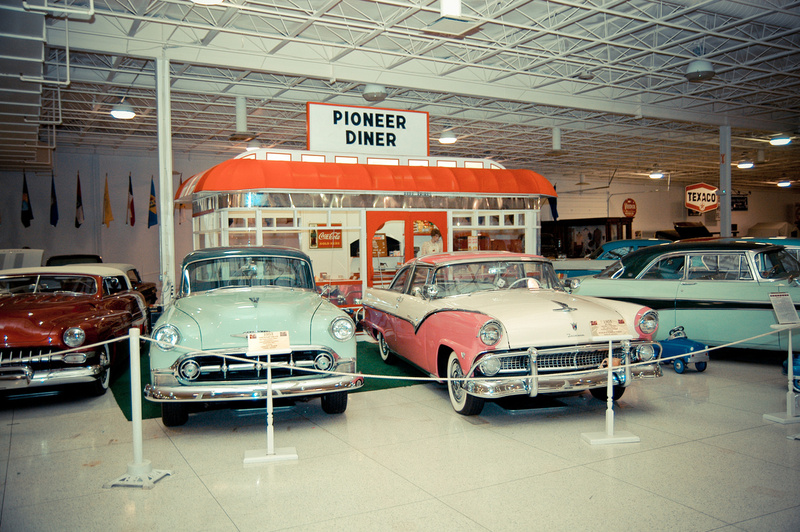 For more information, call the Kokomo Visitors Bureau at 800-837-0971 or go to www.VisitKokomo.org. 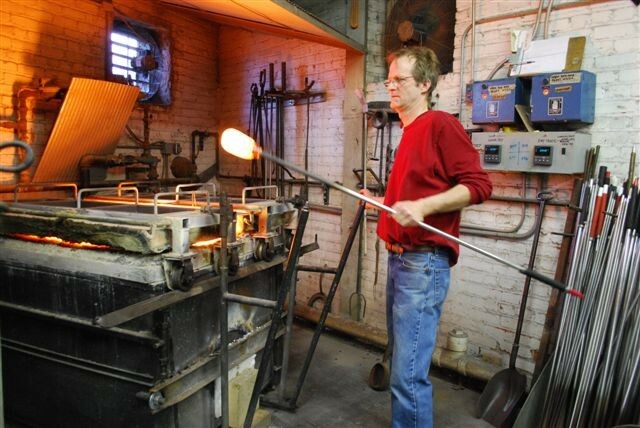 For more details on the Indiana Glass Trail and Art on Fire weekends, visit www.IndianaGlassTrail.com. Kokomo Opalescent Glass Company has been making glass in its original location since 1888. The OP Shop (Kokomo Opalescent Glass Company’s retail shop) announces their Annual Fall Sale on September 17-22, 2012. Receive 20% off all sheet glass & supplies! Located at 1310 South Market Street in Kokomo, the OP Shop is open Monday-Friday 9am – 5pm and Saturday 9am-1pm. 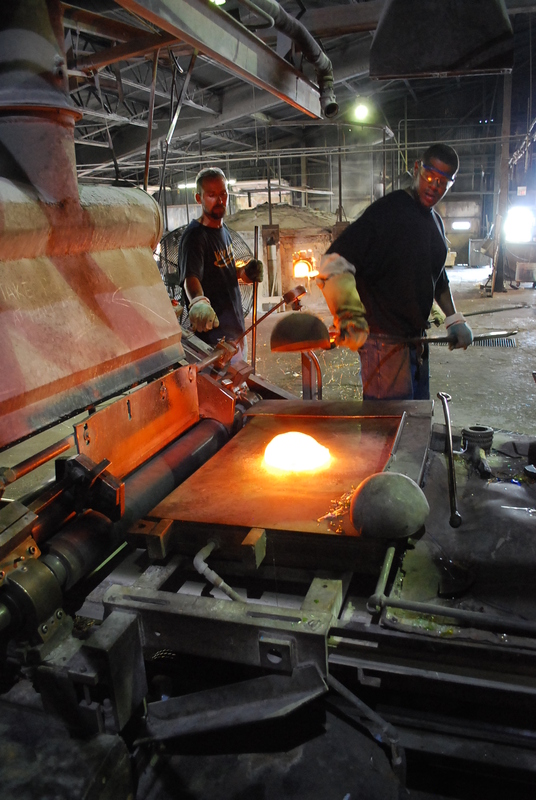 Kokomo Opalescent Glass Factory tours are also given Tuesday-Friday mornings at 10:00am. 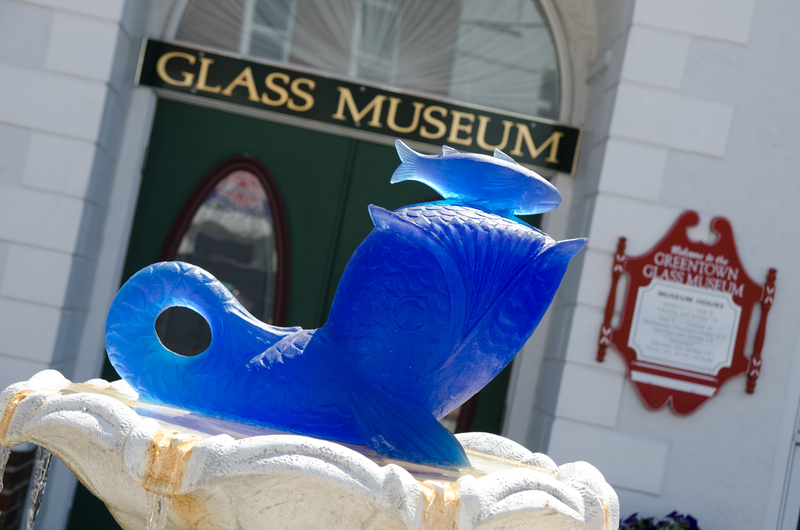 Don’t miss this must-see glass attraction and America’s oldest art glass company! For more information on the sale or factory tours, call 765-457-1829 or visit their website at www.kog.com. The Indiana Glass Trail was launched in 2010 and is a showcase for talented Hoosier artisans and glass blowers who create magic with glass. 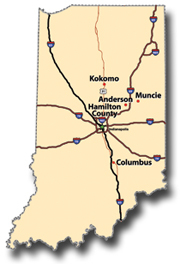 The trail connects several communities throughout the state, including Anderson/Madison County, Columbus, Hamilton County, Kokomo/Howard County, and Muncie/Delaware County. Glass factories, galleries, museums, studios, festivals, and workshops can be found in these communities along the trail. Kokomo offers several attractions featuring glass. Take the fascinating tour at the Kokomo Opalescent Glass Factory, America’s oldest art glass company. Watch as molten glass is poured and rolled into colorful sheets of art glass and shipped all around the world. Demonstrations by skilled glass blowers can also be seen. Public tours are given weekdays Tuesday through Friday at 10 a.m. The Op Shop offers beautiful and unique glass items to purchase, including vases, suncatchers, serving boards, perfume bottles, and paperweights. Kokomo Art Association’s Artworks, located in the Kokomo Mall, carries the work of several glass artists, such as glass jewelry among other unique items. Greentown and Jenkins glass can be seen at the Greentown Glass Museum and Seiberling Mansion in multiple exhibits. The Greentown Glass Museum houses a vast number of pieces of glassware produced by the Indiana Tumbler and Goblet Company in Greentown between 1894 and 1903. For more information on glass in Kokomo/Howard County, call 800-837-0971 or visit www.VisitKokomo.org. Explore The House of Glass in Elwood, offering factory tours on Monday, Tuesday, Thursday, and Friday. In addition, their gallery features a stunning collection of glass art created by their skilled craftsman, including antique and modern style paperweights, animal sculptures, vases, lamps, and glass jewelry to purchase. For more information, call 765-552-6841 or visit their website. 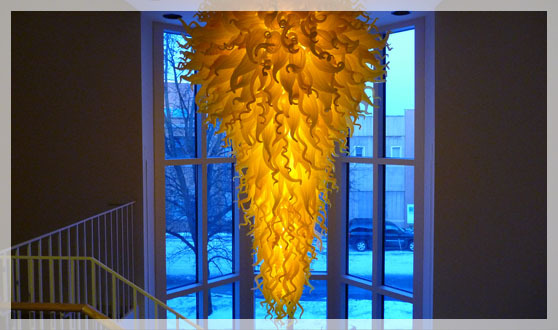 Columbus is home to two original works of glass by world-reowned artist, Dale Chihuly. The stunning 900-piece neon chandelier is on display in the Columbus Visitors Center and Chihuly Sun Garden Panels in Suspended Circle are uniquely featured at the Columbus Learning Center. A variety of unique and colorful glass items are available to purchase in the Columbus Visitors Center gift shop. Glass art can also be seen at Zaharako’s restaurant, Exit 76 Antique Mall, and used in a variety of ways in architecture throughout Columbus. For more information, call 800-468-6564. In Hamilton County, stroll the Carmel Arts & Design District to find glass-filled antique shops and galleries featuring contemporary glass art. Glass can also be found throughout Hamilton County’s eight great towns. For more information, call 800-776-8687 or visit their website. Muncie is renowned for its glass history beginning with the Ball family. Art glass is plentiful from beadwork to sculpture. Plan to visit the Ball State University Museum of Art and the Minnestrista Center. Visit the website for festivals and glass artists in the Muncie area or call 800-568-6862. For more information on the Indiana Glass Trail, visit www.IndianaGlassTrail.com. If you would like to receive the Indiana Glass Trail brochure, call 800-837-0971 or email information@visitkokomo.org. 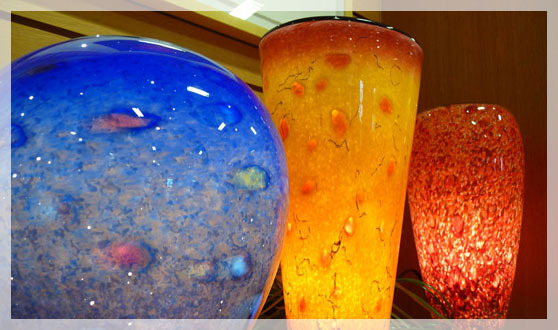 It is no surprise why Kokomo Opalescent Glass (KOG) is one of Kokomo’s most visited attractions. From families to large tour groups, visits are often requested for the KOG factory tour. The fascinating tour takes you behind-the-scenes through the glass-making process from start to finish. In business since 1888, Kokomo Opalescent Glass is America’s oldest art glass company. 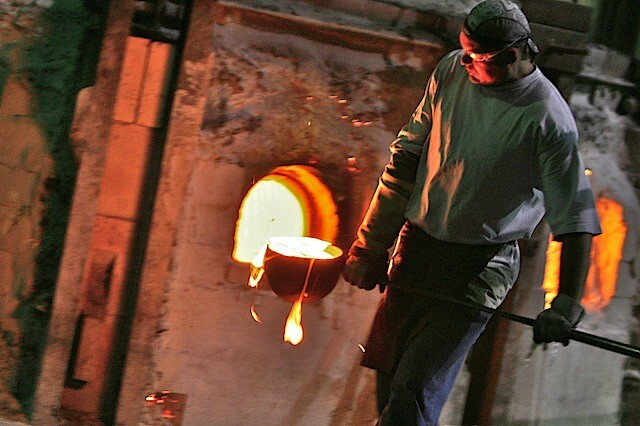 Watch as ladels of hot, molten glass are carried from the furnace and carefully poured and cooled into sheets of beautiful art glass. In fact, KOG makes over 22,000 variations of sheet glass! 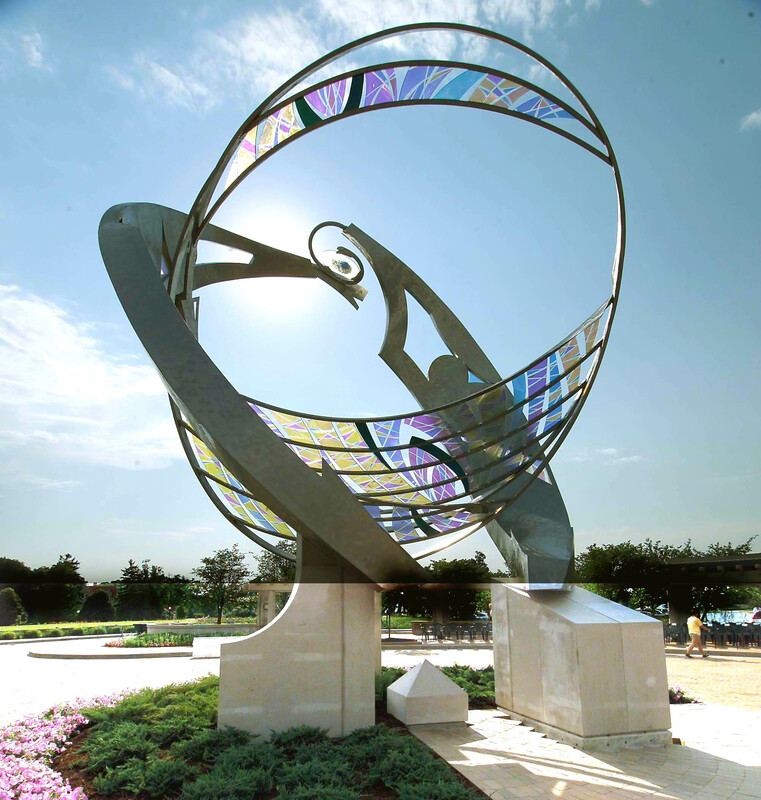 The glass is packaged and shipped all around the world to be used in a variety of projects by glass artists. 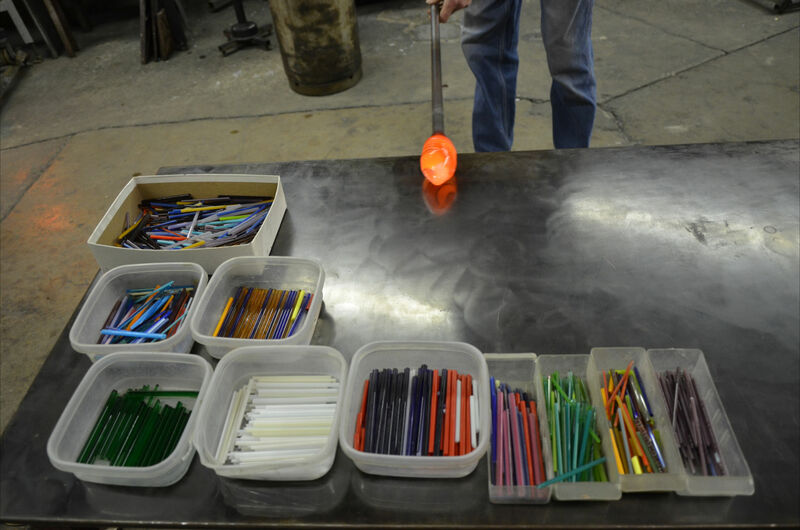 The factory tour also includes a look into the KOG Hot Glass Studio where skilled glass blowers create custom and unique items. A variety of gift items made from Kokomo glass, including paperweights, votive candle holders, vases, ornaments, and even marbles are sold in the OP Shop, the factory’s retail gift shop. Due to increased demand for tours, new tour hours have been added! Public tours are now offered weekdays Tuesday – Friday at 10:00 a.m. General admission is $5 and student admission $2. Group tours are scheduled by appointment only. Visit their website for tour requirements and guidelines. Don’t miss the chance to experience the tour at Kokomo Opalescent Glass. 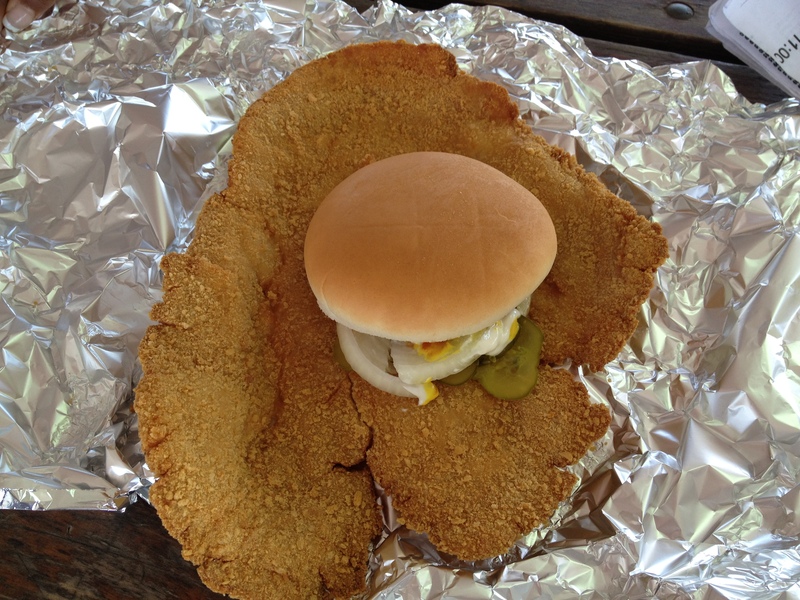 It is well worth the visit! For more information, visit their website or call 765-457-1829 or 877-703-4290.